Dark Fools use the power of their reed pipes to confuse, mislead, and attack their enemies. They are true tricksters, using a combination of sound and magic to create illusions, deceptions, and inspiring melodies to encourage members of their Realm. Their pranks and practical jokes have a very dark side, and their mind-affecting powers make the Dark Fools feared across the world. There is no fool like a dark fool. The death of nearby enemies inflicts a mind debuff on the user that drains blood and stamina over time. The power of healing and cure effects on the user from outside sources are greatly reduced. When the user inflicts a wound on an enemy, they cure one of their own wounds to the same body part. When one of the user’s group members dies, the user gains a mind buff that greatly increases the power of their next song. Drains health from nearby enemies with more total remaining health than the user and distributes it between the user and their nearby group members. Provides an aura that gradually increases in power up to a maximum amount. The aura increases the movement speed of the player and nearby allies in their group. On reaching its maximum power, the aura also grants a mind buff that removes the aura effect and reduces blood and stamina costs for a brief duration after the next ability activation. Damage taken from all sources while under the effect of this aura is greatly increased. Purges a high amount of power from a physical buff from each nearby enemy and increases the panic rating of targets affected. Grants the user’s group members a death buff that increases damage against bleeding targets. This effect also restores blood to the user when dealing damage to bleeding enemies. Drains remaining blood from the user to provide an aura that grants immunity to panic-increasing effects and suppression of shadow and chaos effects to the user and their nearby group members. 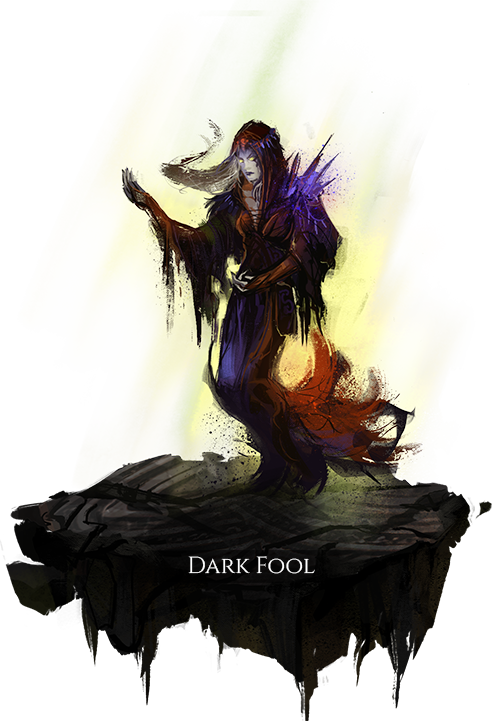 A large, ominously laughing shadow emerges from the user’s corpse and applies a shadow debuff over a large area that greatly reduces the movement speed and increases ability preparation and recovery times of enemies who have reached their maximum panic rating.